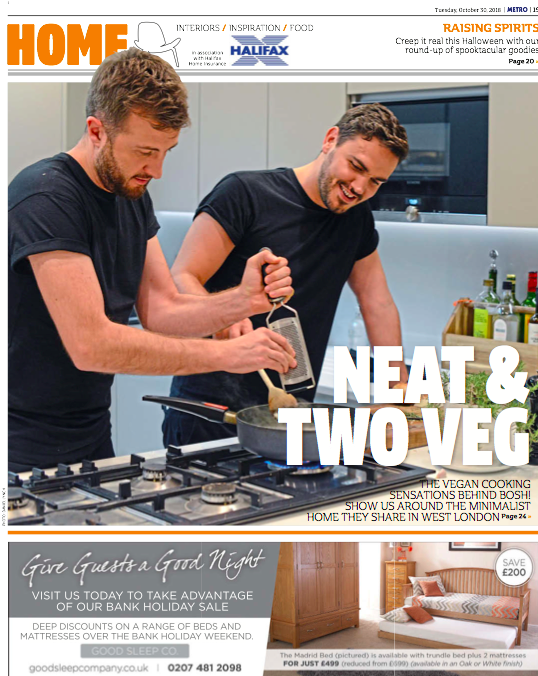 THE BESTSELLING DEBUT COOKBOOK OF 2018, THE BIGGEST SELLING VEGAN COOKBOOK OF ALL TIME, 26 MILLION VIEWS A MONTH, HENRY AND IAN HAVE TAKEN VEGAN MAINSTREAM. Having grown up in Sheffield together and becoming best friends at secondary school, Henry & Ian live and work together at their BOSH! studio in London creating delicious recipes that are shared across the globe. BOSH! 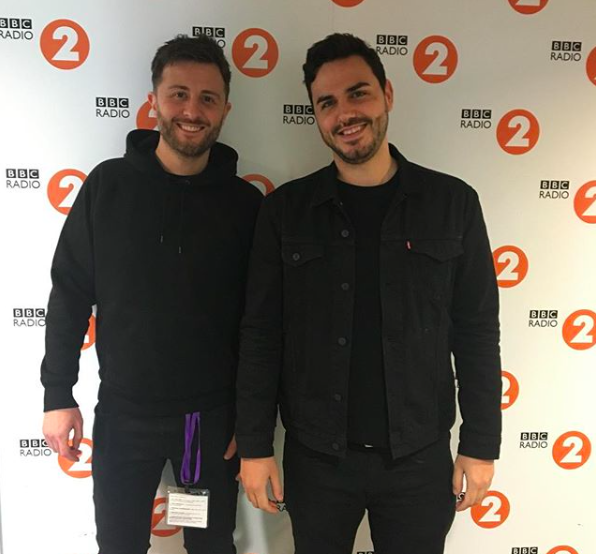 posted their first recipe online on June 17th 2016 and now have generated a following of 1.8 million Facebook fans and reach over 26 million people a month. Unlike most social media stars, Henry and Ian only revealed their faces after reaching 1 million fans. BOSH! consider themselves to be ‘food remixers’ taking classic dishes and recreating them using nothing but plants. With recipes including ‘The World’s First Pasta Burger’, ‘The Falafel Onion Ring’ and the incredibly decadent ‘CamemBOSH!’, it’s easy to see why they have grown such a massive fan base so quickly. 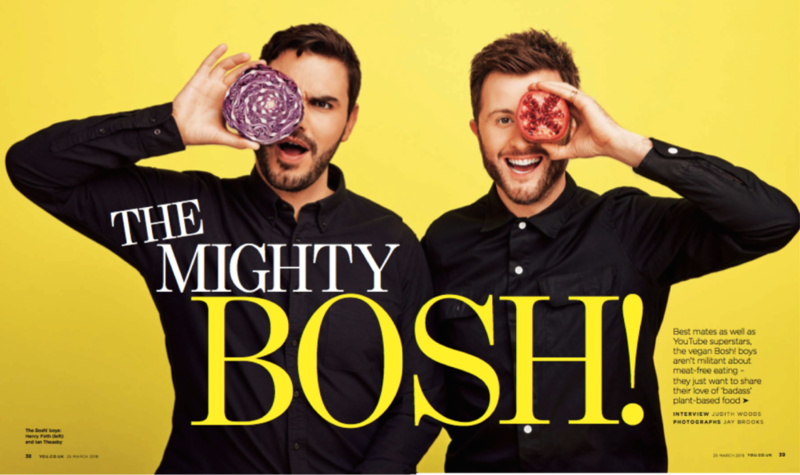 A competitive bidding war between publishers resulted in BOSH! signing their first book deal with Harper Collins, which was released in April 2018 and went on to become the bestselling debut cookbook of 2018. 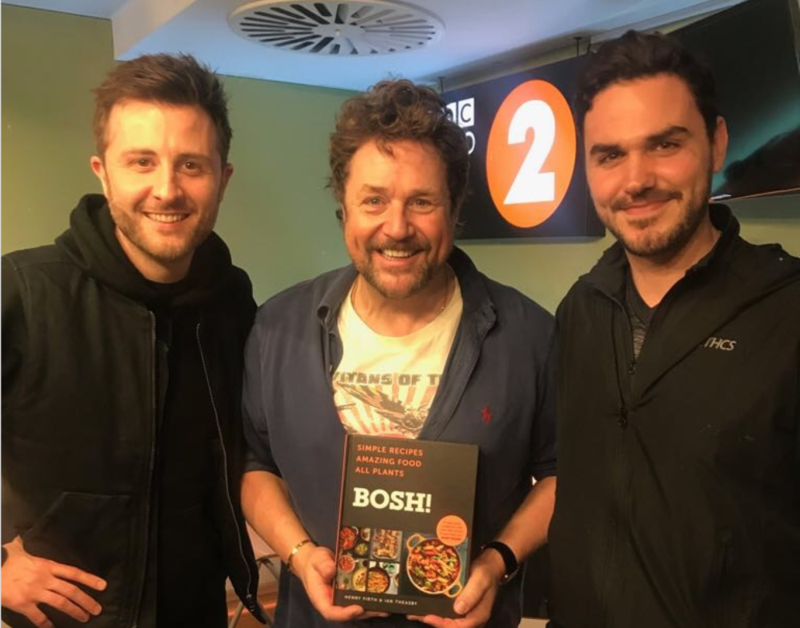 Their second cookbook BISH BASH BOSH! is due for release in April 2019 and is already soaring up the pre-order charts. 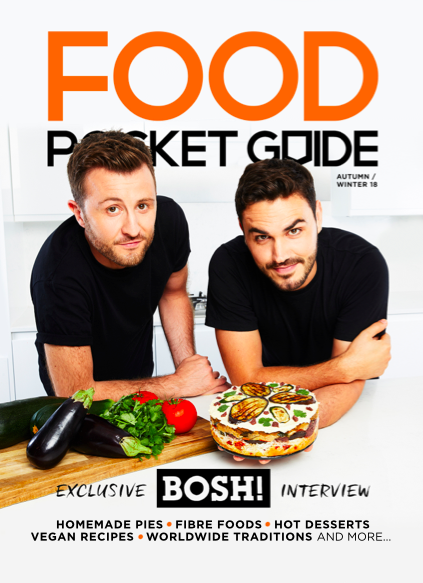 With delicious recipes and a relaxed approach, BOSH! bring their friendship into the kitchen to help surprise and amaze people with just how great plant-based food is. Henry and Ian are smart, inspiring and a complete pleasure to work with. 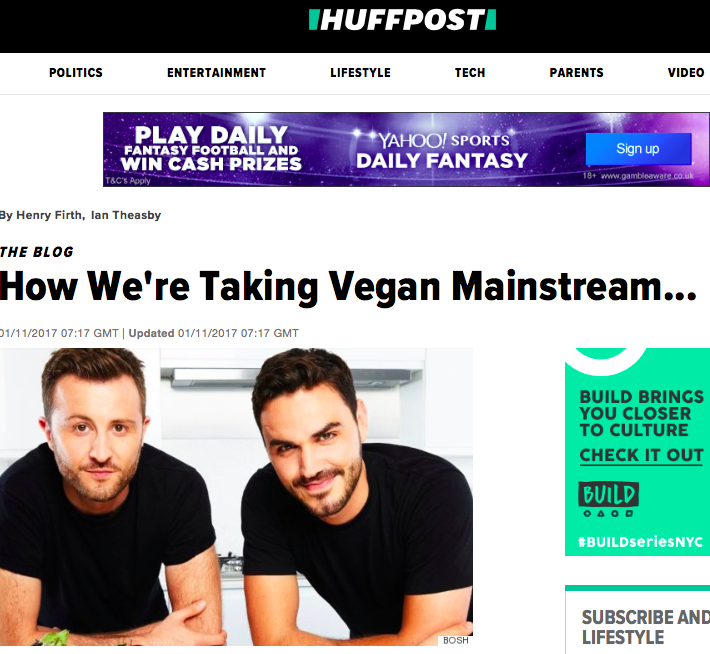 Always upbeat, they are passionate about what they do and we are hugely proud and honoured to be helping them make vegan mainstream.